It is with great sadness that the IACM informs their readers that Ester Fride, the Israeli scientist who showed that a newborn mammal cannot suckle and survive without a functional endocannabinoid system, died on New Year's Day at the age of 56. The cause was lung cancer, diagnosed in July, 2008. Dr. Fride, a professor at the College of Judea and Samaria in Ariel, was the first awardee of the IACM Award for Basic Research in 2005. In a very personal letter the chairman of the IACM, Ethan Russo, wrote: "It is perhaps the greatest compliment that one can make to a friend that has left us too early, that although we are grief-stricken with their loss, the more pervasive feeling is one of enrichment that we were lucky enough to walk with her in shared experiences and thereby be enriched in our own lives." In the future the IACM Award on Basic Research will be called "Ester Fride Award". On 11 January the New Jersey Legislature approved a bill that would make the state the 14th in the USA, but one of the few on the East Coast, to legalize the use of cannabis to help patients with chronic illnesses. The measure, which would allow patients diagnosed with severe illnesses like cancer, AIDS, and multiple sclerosis to have access to cannabis grown and distributed through state-monitored dispensaries, was passed by the General Assembly by 48-14 and the State Senate by 25-13. Governor Jon S. Corzine has said he would sign it into law. Supporters said that within nine months, patients with a prescription for cannabis from their doctors should be able to obtain it at one of six dispensaries. New Jersey's law is regarded as one of the most restrictive medical cannabis laws in the USA because it would permit doctors to prescribe it for only a set list of serious, chronic illnesses. The law would also forbid patients from growing their own cannabis and from using it in public, and it would regulate the drug under the strict conditions used to track the distribution of medically prescribed opiates. Patients would be limited to two ounces (57 grams) of cannabis per month. 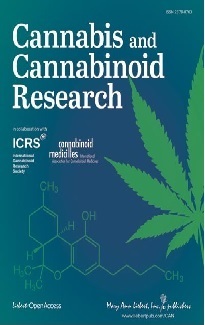 According to research at the California Pacific Medical Center Research Institute in San Francisco cannabidiol (CBD) increased the inhibitory effects of dronabinol (THC) on human brain cancer cell proliferation and survival. The two natural cannabinoids were tested on two glioblastoma cells lines. THC and CBD acted synergistically to inhibit cell proliferation. The treatment of glioblastoma cells with both compounds led to significant modulations of the cell cycle, induction of reactive oxygen species (free radicals) and apoptosis (programmed cell death). There were specific changes that were not observed with either compound individually, indicating that the signal transduction pathways affected by the combination treatment were unique. 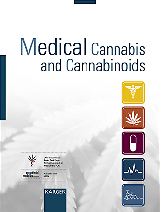 Researcher concluded that these "results suggest that the addition of cannabidiol to delta-9-THC may improve the overall effectiveness of delta-9-THC in the treatment of glioblastoma in cancer patients."